If you are looking for an escape from U.S. politics, there are still some isolated corners of the world waiting to welcome you, says the Huffington Post — and you don’t have to go too far. 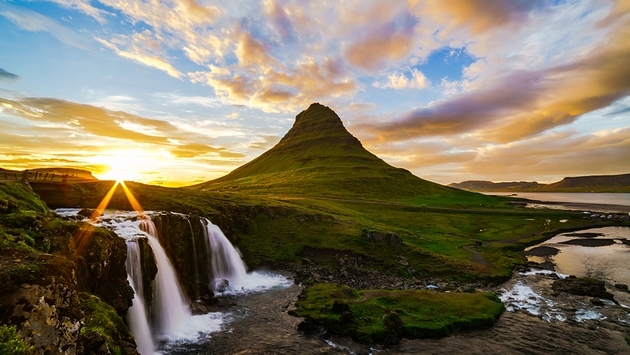 “Iceland is close enough to North America and Europe (and often used as a stopover between the two), but far enough to gain a bit of distance from the current state of the modern world,” writes Jacada Travel, experts in travel destinations around the world. Jacana Travel also recommends Botswana. At 7,591 miles away from Washington, D.C., it shouldn’t be too hard to tune out the punditry. “In the wild, biodiverse Okavango Delta of Botswana, it’s easy to temporarily forget about politics and current affairs when you’re watching wild dogs chasing impala across the plains, listening to lions roaring in the night, spying leopards prowling through the undergrowth and paddling past hippos wallowing in the delta’s waterways,” says Jacada Travel. Immerse yourself in an entirely new culture with a trip to Laos. “Tucked between Vietnam, Cambodia, Thailand, Myanmar and China, Laos is still not quite on tourist radar. Luang Prabang is the country’s most popular city, but it still maintains a calming, low-key vibe that is ideal for travelers who need to get away, but still want city facilities and the buzz of a town,” Jacada recommends. If you just need to get outdoors and reconnect with nature, head south…way south…to Patagonia. “With its windswept beauty, Patagonia tempts travelers to forget their lives at home and adopt the life of a gaucho, galloping across the plains without a care in the world,” says Jacada. For more escapes that will keep your mind off what’s going on in the U.S., read on here.